Newly changed sheets; a full tank of gas; brand-new socks. All glorious, but none of them bring those fresh AF feels quite like looking in the mirror and seeing a set of Insta-white teeth gleaming back at you. You might have heard of Philips Zoom in-chair whitening, but like us, you’ve probably got a few questions. What will it be like? Will it hurt? Will my teeth be super sensitive afterwards? Does it cost a fortune? Will I end up looking like Ross in that episode of Friends? 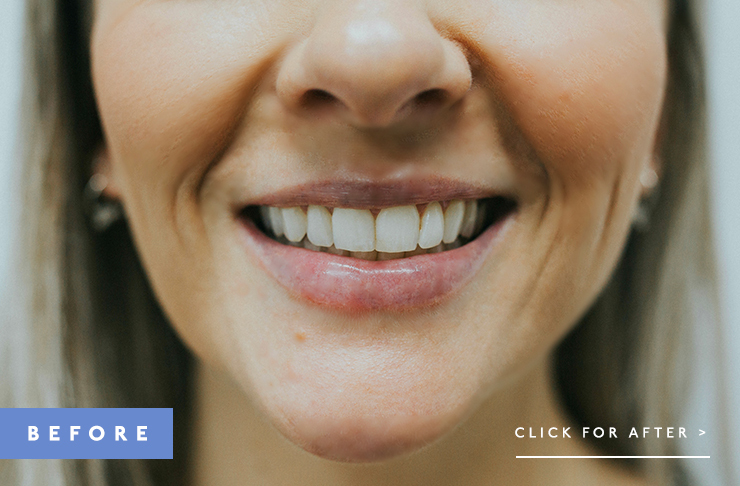 Luckily, our friends at Vital Dental Care in Camp Hill invited us to go through the process first-hand, to bring you all the deets of exactly what it’s like. Curious? So were we. Despite a bit of initial trepidation, Dr Phil Chou and the rest of the Vital Dental Care team put me totally at ease with a friendly welcome, thorough answers to my many questions, and a cup of T2 tea while I wait. After an initial assessment of my teeth to ensure they’re in shipshape condition, Dr Phil starts by taking moulds of my teeth, used to create custom trays while the whitening’s being done (more on those later). After popping a cheek retractor (does what it says on the tin) and some cotton rolls into my mouth, he applies a barrier along my gumline to make sure the bleach goes on my teeth and nowhere else (this is the most time-consuming part, but worth every second). Despite not looking my most glamorous—I blame the cheek retractor, personally—it’s not too uncomfortable and I can still swallow as normal, which is great for, you know, not feeling like I’m drowning. So far so good! Once everything’s all in place, the hydrogen peroxide is painted on and a UV light placed over my mouth for four cycles of 15 minutes (the gel starts to lose its mojo after 20 or so minutes, so needs to be refreshed each time). Honestly, this part’s actually relaxing, what with the lying down under a blanket and warm purple light glowing over my face, not to mention Netflix playing on the ceiling above me—Dr Phil’s not even fazed by my somewhat questionable choice of viewing. During the first three rounds, I feel no discomfort whatsoever (except for a very awkward dash to the bathroom), but by the fourth, I do start to get a few pangs of sensitivity (or “zingers” as Dr Phil jovially calls them). Real talk: it’s manageable, but definitely a relief to have all the bits and pieces taken out, and have a bloody good rinse. Remember those custom trays they made at the start? Here’s where they come in– filled with a soothing relief gel, they go on for half an hour while the gel works its magic, re-mineralising my teeth and closing down sensitive nerve pathways. I won’t lie: it’s a welcome sensation. The trays are really thin and completely clear, which is ideal because it means I can see the results of the whitening instantly—yay! And I’m really happy: my teeth weren’t overly stained to begin with, but I can still see a distinct difference, without having that blinding UV-like, reality show cast member look. (It’s tempting to take an immediate selfie). So how long does the effect last? Well, it all comes down to how you treat your teeth from there on out. 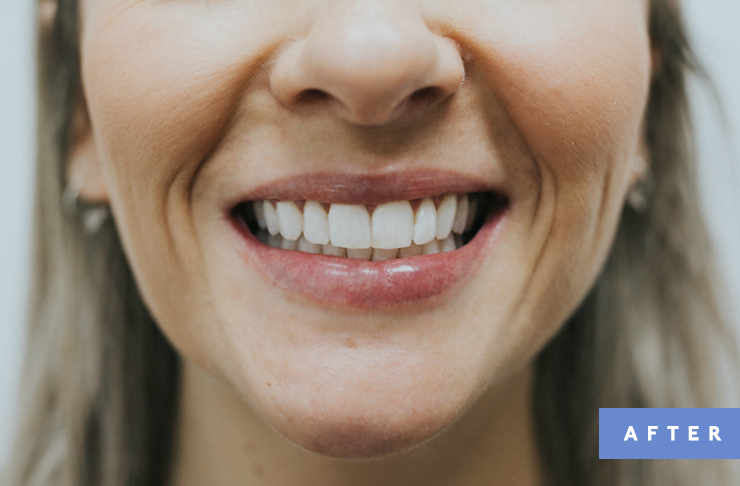 The Zoom whitening itself never “wears off”, your teeth just become stained again over time—so after-care’s super important, especially in the first hours and days. There’s to be no coloured food for at least 48 hours, with the rule of thumb being if it would stain a t-shirt, it’s a no-go (I’m always happy for an excuse to have toast for dinner though, TBH). Anything very hot or very cold can also bring on the zingers, which admittedly did make themselves known a few times over the rest of the day, but some more relief gel and a couple of Neurofen and they were sorted by the next morning. Each in-chair Philips Zoom service includes a take-home pack with some more of your soothing gel, the custom trays, and even a fresh vial of whitening product should you need a cheeky top-up for a special event (or you simply can’t give up your daily coffees and/or love a good red). Our verdict? The Vital Dental Care team made the whole experience as comfy and chilled as possible, and the end result was exactly what I was hoping for. It’s well worth putting your money where your mouth is, and here’s a hint: Vital Dental Care’s current Philips Zoom price of $549 makes it easier to do just that! Editor’s note: This article is proudly sponsored by Vital Dental Care and endorsed by The Urban List. Thank you for supporting the sponsors who make The Urban List possible. Click here for more information on our editorial policy.